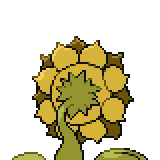 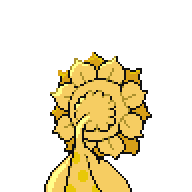 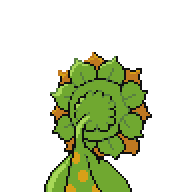 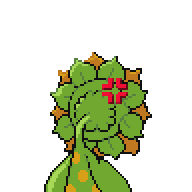 Sunflora is a Grass-type Pokémon. 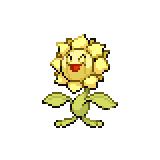 It evolves from Sunkern when exposed to a Sun Stone. 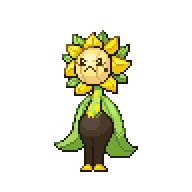 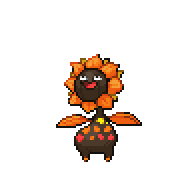 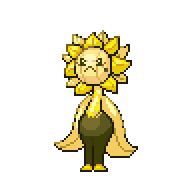 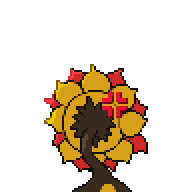 It can Mega Evolve into Mega Sunflora using the Sunflorite. Sunflora convert solar energy into nutrition. 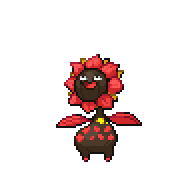 They are highly active in the warm daytime but suddenly stop moving as soon as the sun sets. 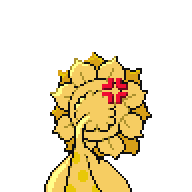 A level of "Start" indicates a move that will be known by a Sunflora obtained at level 1. 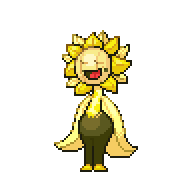 Sunflora is the only Pokémon that Mega Evolves into a different form based on gender. This page was last edited on 29 April 2018, at 21:13.